La Farga offers a wide range of copper tubes for plumbing, gas, heating, solar power, refrigeration, air conditioning, medical gases and vacuum and industrial uses. Our ecopperclean pipes are manufactured to offer the utmost quality and safety for our installers. Copper tube is the material par excellence used in most European countries for drinking water systems, heating, air conditioning, medical gases and solar power. 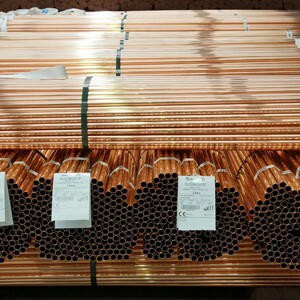 All of our resistant, malleable copper tubes can withstand extreme temperatures, corrosion and high water or gas pressure, providing safety in all our installation, zero maintenance over the years and the highest quality. Copper is the only metal certified by the EPA as an antimicrobial agent.